They say never judge a book by it’s cover, but when you enter a property for the first time the immediate impression you get will last a lifetime. If you’re lucky enough to have a porch in your home, then you’ve got the perfect opportunity to create a space that welcomes not only your guests, but you home after a long day at work. Not only will having your porch decorated to be more welcoming be lovely to come home to, but it will also increase the value of your home if you ever came to sell it. Here are some porch ideas to make your home more welcoming. There’s something really homely about wooden shutters because when the light from inside shines through them it immediately creates a cozy look inside of your home. Not only that, it will stop people from being able to see directly into your home and see any valuables that are on display. Speaking of items that are on display, it might be a good idea to get some CCTV installation on the exterior of your porch so that you can rest assured that your home is protected and deterring thieves from entering your home. You now don’t have to make it obvious either with a big camera on the outside of your home as you can now get covert CCTV which will disguise the camera as something else yet still serve a great purpose. Not only that, if you come to sell your home the installed CCTV will bump the price up a little. No home is truly complete without a welcome matt and some cute plaques on the wall that welcome people into your home. 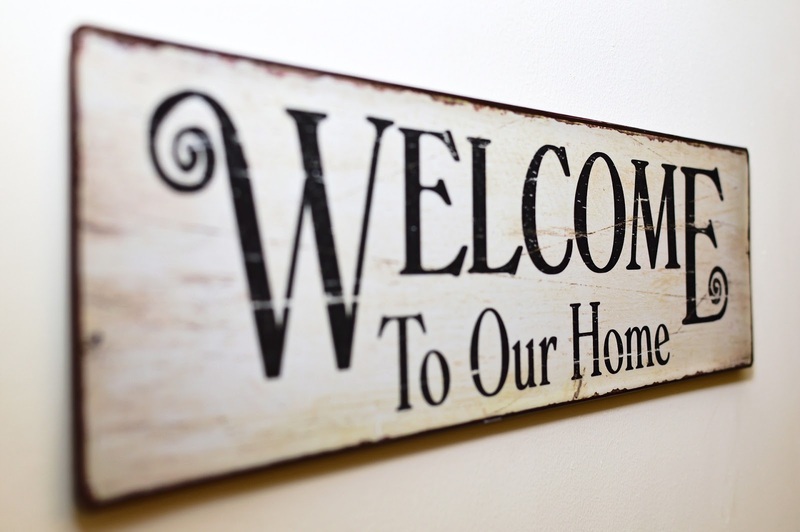 There are so many different designs to choose from, but if you’re feeling extra crafty you could always attempt making your own welcome plaque for the wall out of slate and picking your favourite welcoming quote. For your matt, why not get a personalised one that immediately shows your personality as soon as you walk through the door? It might sound like an obvious point, but having somewhere that people can hang their coats will immediately make your home more welcoming for your guests because they can comfortably remove their coat without having to wait to be asked. There’s so many different styles to look at, so take a look and buy yourself one for your porch! Finally, your porch is likely to be a place where you remove your shoes too, meaning that the area can quickly become stinky. Add an air freshener or two in their to welcome your guests with a homely smell rather than a stinky one!